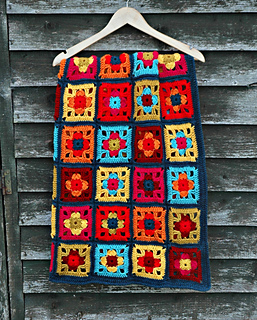 A Patchwork inspired crochet blanket, made in bright vivid colours. 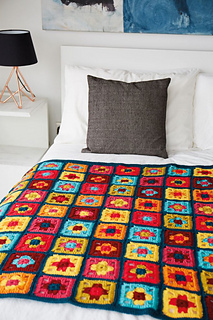 You can use any DK weight yarn to make this blanket the given size or any size you like. You can also use a different yarn weight to make a smaller or larger blanket, using a matching hook – bear in mind your yardage requirements will vary. 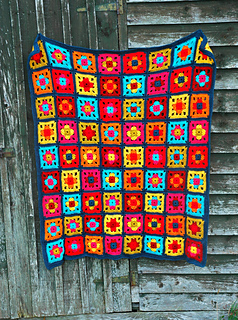 You can make a larger blanket by making more squares. Flexible pattern and perfect stashbuster!